Looking for homemade Mothers day gifts to make for your Mother or Grandma? You need to make this day as special as you possibly can. These gifts alongside a bunch of flowers and chocolates will go down nicely on this special day. Watercolour Pillows - Make your mother some throw pillows for a gift with this simple yet effective way of sprucing up your living room. With permanent markers in various colours, draw designs onto cotton pillows with some custom stencils. Soak a cotton swab in rubbing alcohol and trace along your design to create a bleeding effect. Handmade Candles - Candles are an easy gift that can sometimes come across as impersonal but doesn't worry that can be changed! To personalise your own wax candles, you'll need pillar candle with your choice of colour, white tissue paper, acrylic paints, and wax paper on hand and the odd stencil to have a pattern already laid out. First, decorate a piece of cut tissue paper with whatever pattern they choose. 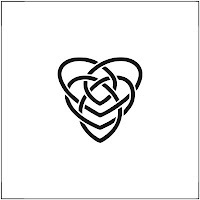 Then, use a blow dryer to put the design on the candle. The finished product has a personalised touch that's sure to light up Mum's day. Paper Tablecloth - A paper tablecloth will the perfect thing to show your mum how much you care. Whilst this being a generous gift, this will also is a lovely homely addition to any setting. Adding splashes of colour and stencilled patterns to a bog standard white cloth. Coffee Stencils - We have found that the simplest of designs and lettering make the best coffee stencils for your mother on mother’s day, but no matter your preference, we can create the exact stencil you require. 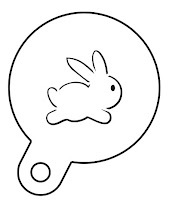 We cut our standard Cappuccino Stencils from a 2mm thick food-safe plastic; we strive to bring you competitive prices, even on our custom made designs. 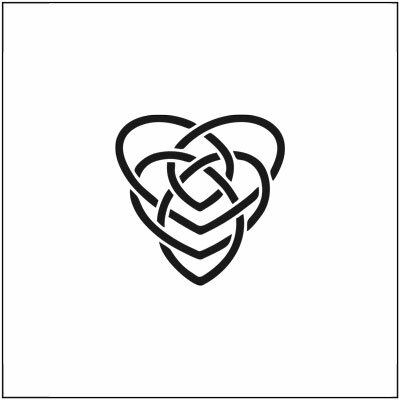 Here are is an example of one of our Mother’s Day stencils; the Celtic design symbolising Motherhood and just because it’s also nearly Easter, an Easter Bunny just in case you feel like being really organised. Stencil graffiti is quickly becoming one of the most popular parts of the underground art scene, and it seems politics too after David Cameron gave Barack Obama a piece of street art on his last state visit. In this blog we will be giving a quick stop tour around some of the world’s finest works of art illegally hung on walls around the world. Firstly we start off with an artist called “Mantis”. Mantis is a London based artist fighting for wall space in and around Old Street. Mantis is most famous for painting over Banksy’s famous Pulp Fiction stencil on Old Street roundabout and replacing it with two African orphaned children holding banana skins. His style is more politically orientated stencils of nuclear war, famine and corporate greed. You can also see his work around the Shoreditch area, London. His most famous pieces of work are Jimi Hendrix, Sitting Kid, Twiggy and many more. This duo is made up of Andrea Michaelsson and Ilia Mayer. There unique fantasy worlds have been spicing up the streets of Barcelona for the best part of a decade. They merge 1930s movie stars and ancient Greek mythology, their style has won many plaudits on both sides of the Atlantic with exhibitions in LA and London. Their style also implements Anime style portraits tying in with the fantasy element. Merry Christmas from The Stencil Warehouse! Just a quick post to wish all of our lovely customers a very happy and healthy Christmas and prosperous New Year! We would like to thank you all for your custom in 2015 and hope to see you all again come the New Year! Remember that we also have fun, festive coffee and cake stencils, to add the extra Christmas sparkle to you culinary delights. Take this happy little snow man for example – bound to bring a smile to both childrens and adults faces! The best thing about these designs it that they can be ordered for use of both drinks (topping that Christmassy Irish coffee for example), and for dusting cocoa and icing sugar on to Christmas Cakes and desserts! Our various festive designs will add that extra touch to your Christmas treats. So Merry Christmas everyone! 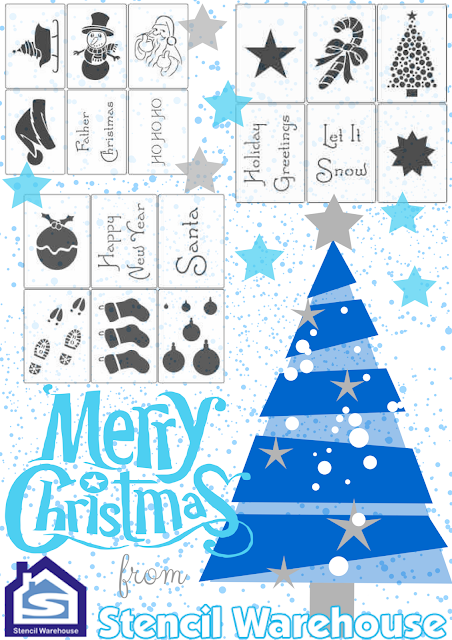 If you do use any of our lovely Christmassy stencils, we’d love to see pictures of your creations. Please email them into us, send us a tweet of them or post the on our Facebook timeline! It’s time to wake up and smell the (cinnamon flavoured) coffee – winter is coming! Most people moan about these colder months – the shorter days and miserable weather do tend to make us want to hibernate we must admit. But there are so many things to love about winter as well! For a start, in the dead of winter, the sun doesn't rise until at least seven – so you get to experience beautiful sunrises. We have Halloween and Bonfire night which, let’s face it, are great fun! There’s hot chocolate, woolly hats and of course, the best day of the year – Christmas! The winter months are full of things to get excited about, and one of them is Stencilling. Christmas is the perfect time to experiment and improve your stencilling skills while having great fun! We have a great range of Christmas stencils which are perfect for adding that festive touch during these cold winter months! You can use our beautiful designs with paints and glitter for making your own greetings cards, personalising decorations, or designing gift wrap! You can even use them with spray snow on your windows! The great thing about our seasonal designs is that they are all available in a variety of sizes, giving you a great deal of flexibility for your seasonal decorating and craft projects! These are perfect for dark, cold winter evenings with the kids. You can really get your creative juices flowing and create make beautiful, personal designs! 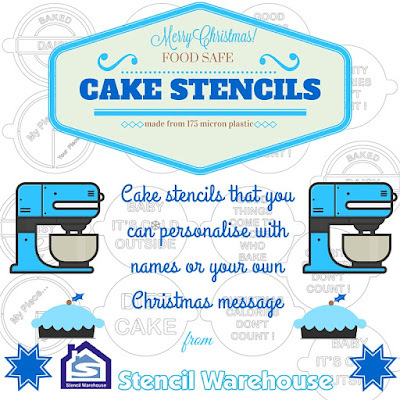 If you prefer your Christmas decorations to be of the tasty edible variety, we also have a variety of Christmas cake and cappuccino stencils which are cut in a food-safe plastic and are suitable for use with icing, chocolate and even edible glitter! Our new cake stencils are made of food safe 175 micron plastic - which is a lot thinner than the coffee plastic and so is much easier to decorate your cakes with!! These are great fun for decorating seasonal and celebration cakes, biscuits and drinks for you to share with your family and friends. We think these also think these make great Christmas gifts! If you have someone in your life that loves baking or is into arts and crafts, why not buy them a Christmas themed stencil or coffee and cake duster? You can even get them a personalised design! 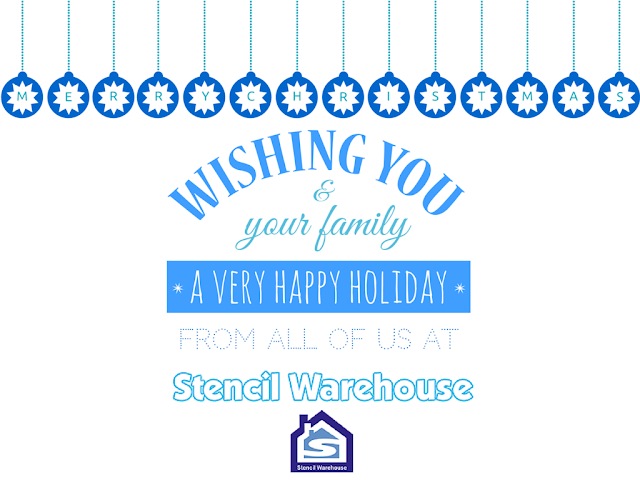 Email us at info@stencilwarehouse.com or give us a call on 01271 882615 if you would like some more information. Get into the Halloween spirit this year! Halloween is a holiday that many people either get super excited about, or are pretty nonplussed by. It is traditionally an American Holiday, but over the decade or so the British have really started to embrace the spooky celebrations! Whatever category you fall under, we’re going to try and boost your Halloween excitement this year with a few things from Stencil Warehouse! Why not go all out and decorate the front of your home with happy Halloween and banners! A great way to entertain the kids on a cold October afternoon, you can have an afternoon creating your own banners using our stencils! We hope that you enjoy this Halloween and get creative! If you’re considering larger stencil projects in the further, Halloween is a great time to practice and hone in on your stencilling skills! If you know someone who LOVES Halloween, you could even by them a personalised spooky Halloween stencil! Take a look at our Halloween themed stencils here- or give us a call on – 44 (0) 1271 882615 if you have any questions! More things you can stencil! We’ve told you about some of the amazing uses for stencils, from kitchen backsplashes and elaborate wallpaper designs, to floor stencils and quirky ceiling stencils... but there’s even more! Our stencils can be used not only on surfaces like walls, ceiling and floors, but they are great on furniture, which you can read all about in our blog: Our Top Tips for Stencilling your Furniture, but what else can you decorate and enhance with a stencil? Do you have old pillows and cushion, bedspreads, table linen and blankets that are a bit old, dated or lack lustre? Well instead of forking out a fortune for new, exciting items, why not enhance your own! Stencils can give items a really lease of life! From polka dots, to flowers, chic chevron patterns, to butterflies, there’s a pattern to sit everyone’s tastes and styles! This is a really great way to make your clothes unique and personal to you. There’s nothing worse than turning up to a party wearing the same outfit as someone else, but if you personalise your clothes with stencils you’ll never have to worry about this happening to you again! Particularly great if you have young children, you can stencil onto almost any item on clothing! We’re sure a little girl would love to spend the day decorating her clothes with some pretty flowers and hearts. Or maybe you little boy in dinosaur or car obsessed? A cheap and economical way to make their clothes more exciting and a great way to keep them entertained for a day – what’s not to love? A fabulously bright and vivid lamp or light shade is such a great way to give a room a facelift! You can grab a plain coloured lampshade on the high street and still get change from a fiver these days. So why not grab yourself one and jazz it up with your own personalised stencil design! As we said, this is a wonderful, cheap and easy, and FUN way to brighten up your home! 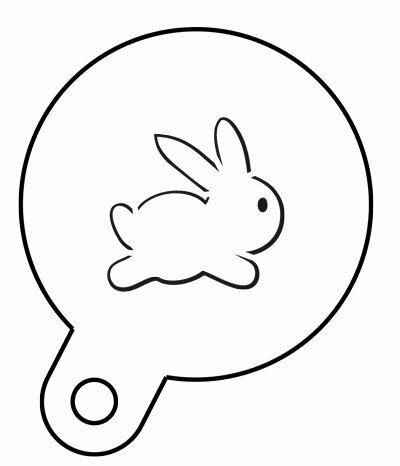 Do you have any other creative ideas for your stencils? We’d love to hear them so please let us know by commenting, or getting in touch on our social media channels! In the mean time, if you want to get stencilling your cushion covers, old t-shirts or bedside table lamps, you can find a beautiful range of stencils on our website! And don’t forget about our fantastic custom stencil service. Freecycling and upcycling is all the rage at the moment and it’s clear to see why. It’s a lovely and fulfilling thing to take an old, used and abandoned piece of furniture and make it beautiful. We love recovering old pieces and giving them a new lease of life, and what we really love is using stencilling on our freecycling projects. If you haven’t tried our stencilling on furniture before you may be missing out on some great opportunities to completely restyle and rejuvenate your old pieces! Furniture stencilling can be very labour intensive because there are so many intricate steps and layers involved. Because you’ll be decorating three-dimensional objects, you will often have to paint details in around awkward and curved areas. It is important to plan properly and make sure you allow enough time for each layer of paint (e.g. primer / base / varnish) to dry thoroughly between applications. Take your time and ensure you use the correct paint and application method to enhance your project. Do it right, do it once! If you do take care to do each layer of primer, basecoat, painting, antiquing, and finish coat right, you’ll only have to do it once! You don't want to have regrets about brush marks you should have sanded down when it’s too late, or realise that a roller or sponge application would have given a better result. When learning how to stencil it’s a good idea to scour carboot sales and charity shops for inexpensive furniture with interesting lines such as turned legs and carved detailing. Lower quality woods or slightly damaged veneered surfaces are crying out for a painted and stencilled treatment, and they’re a great way to practise before you paint a more expensive piece. Do try as many finishes and application methods as possible on various base layers, so that you're teaching yourself as you go along. Don't be afraid to try things out. Try sprays, chalk paint, antiquing, varnishing, even try taking off layers and not just adding them! You can gracefully combine different patterns by sticking to a limited palette. We suggest only using a couple of different colours to start off with. This will not only lower the chances of mistakes but will also prevent your designs becoming too busy. However you shouldn’t be afraid to be bold. Stencilled furniture can be used as a statement piece in a room, adding a little excitement to a space. And remember, every stencilling project is different, so practice with different techniques, paints and surfaces and you'll soon get the confidence to tackle any project!